As we approach the final round of premier league action, before the international break, our resident Fantasy Football expert gives his verdict on how the weekend will turn out. Before we dive into that though, it is important to take a quick look at the major talking points from last week. 1, Rooney’s injury – With Manchester United’s main man out of action for the next 8 weeks or so with that horrendous injury, I’ve been noticing that fantasy footballers are going for a straight swap with ex-Arsenal captain, Robin Van Persie. 2, Hazard is the real deal – He’s a bit pricey, but with a goal and 6 assists in his first 3 games, he provides great value and has certainly reinvigorated an ageing, albeit Champions League winning Chelsea squad. 3, City are all over the place – They’re shipping goals for fun at the moment, don’t have a set formation and Mancini is continuously at loggerheads with Chief Exec – Brian Marwood. If it weren’t for that ludicrous back pass from Martin Skrtel, they probably would have lost at Anfield. 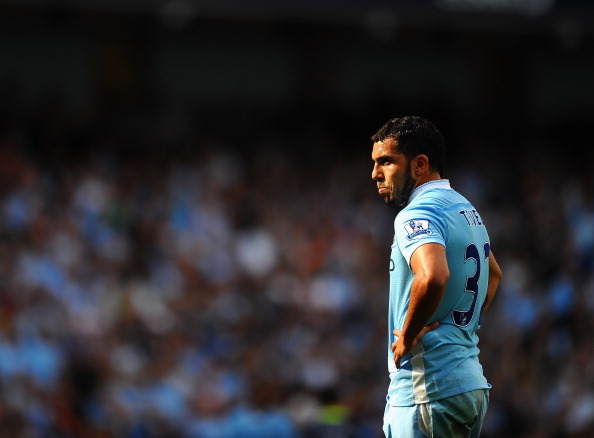 The only bright spot at the moment is a fit and firing Carlos Tevez. Snap him up. 4, Arsenal will score goals – Make no mistake, they’ve strengthened their forward line, but if you spoke to any Arsenal fan last season you will learn that they have issues with defending. Steve Bould has come in and seems like he’s done some impressive work there. Cazorla looks like a special talent, and it’s only a matter of time before the Gunners start banging them in. The Hammers host Fulham on Saturday’s early kickoff. Kevin Nolan is priced at 6 and provides good value for Sam Allardyce’s men. On the other hand, Fulham have been playing attractive football, and even though they have just sold their star man in Dembele to Spurs, they do pose a threat with reasonably priced midfielders in Damien Duff, Kacaniklic and forward Mladen Petric. Swansea are on fire at the moment, with 8 goals and two clean sheets in their opening couple of games. Michu was the top scoring midfielder in the Spanish La Liga last season, and is still only priced at 7.1 so get him in if you already haven’t. Nathan Dyer is valued at 5.8 and is also a good option if you have the space. If you’re looking for an alternative keeper, then look no further then Michel Vorm. The Swansea back four of Rangel, Williams, Taylor & Chico are all around the 5 million mark so provide good options here as well. We’re counting on Swansea to continue their purple patch. Sunderland missed out on action last week due to a waterlogged pitch. Seb Larrson provides good value from set-pieces and at 6.5 isn’t a bad option. Sessegnon seems a bit pricey at 8 but had an impressive run last season so that’s some food for thought. With the transfer window set to close on Friday, and having finally seen the back of Luka Modric, AVB seems like he’s embarked on a bit of transfer frenzy. Dembele & Adebayor have already made their moves to North London, and apparently Hugo Lloris is set to arrive. All 3 new signings look like good fantasy buys, but with the future of Van der Vaart still up in the air, we’d recommend you stay clear of the Dutchman. The Baggies look like a decent outfit under new boss Steve Clarke. Ridgewell & Morrison at the back are amongst the points, whereas Zolton Gera & James Morrison are cheaper alternatives in the middle of the park. Lukaku up front seems to be settling well, but has a slight knock so be sure to check on that before you select him. Everton have made a solid start, with back-to-back wins under their belt. Felliani, Pienaar and Jelavic are obvious long-term targets here. Wigan have just let go of Victor Moses, and apart from Di Santo upfront it looks like the Latics will be involved in another relegation battle. Stoke on the other hand will defend well and play the long ball. Crouch is their star forward and if you’re looking for some bench strength then he might provide a decent return. As mentioned earlier, we’re still not sure whats going on with City’s formation. Last weekend saw Lescott dropped to the bench, and Kolo Toure starting in a back three. David Silva also didn’t start so its tough to make a call on how Mancini lines his players up. The only certainities at the moment are Yaya Toure and Carlos Tevez, who quite honestly should be captaining your side this weekend. QPR have been busy wheeling and dealing in the transfer market, so its better to wait before selecting any of their players this weekend. You’d have to fancy a score draw here. That probably means you stay away from both defences unless you’ve picked up Jenkinson on the cheap. Gerrard & Suarez will always provide a threat for the Reds, whereas Cazorla is running the show for Arsenal at the moment. Szczęsny still hasn’t retruned to the squad so you’re better off playing your back-up keeper this week. Demba Ba, Cisse & Ben Arfa are all expected to be in the mix here. Expect the Magpies to be solid at home, with Coloccini & Steven Taylor returning as the preferred centre-half partnership. As Chelsea is out of action this week, it’s a good time to select some Newcastle players and get them into your squad for the rest of the season. It looks like Johnny Evans will make his way into the squad to partner Vidic at the back. Kagawa has settled well, and as Rooney is out for the next couple of months so RVP will take over the centre forward role for the Red Devils. The Saints were impressive away to the Etihad on opening day, and look like a team that won’t shy away from playing an open game. They are yet to gain a point though, so they’ll need curb their attacking instincts if they are to avoid the drop this season. Final Reminder : No Chelsea or Reading games this week so make sure you make the appropriate changes before the deadline. Tweet us your thoughts @toknowthegame. Took your advice – picked Tevez (took a -4 hit as I also picked up Michu). Made Tevez captain and voila! What about the rest? I called it spot on. Yaya Toure, Crouch, Dembele, Di Santo, Nolan. Fantasy football “expert” indeed! Good calls all around.